They mimic each other's behavior. 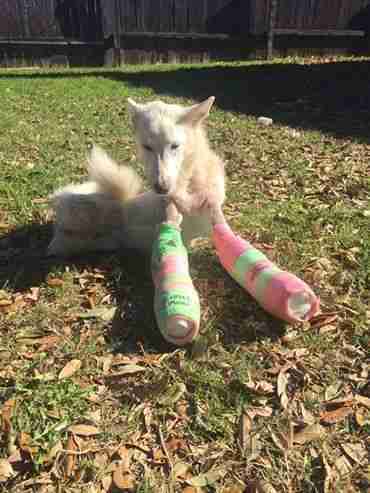 Rescuers found a young Siberian husky mix wandering around in a Texas park last May, dragging her legs, barely able to stand. 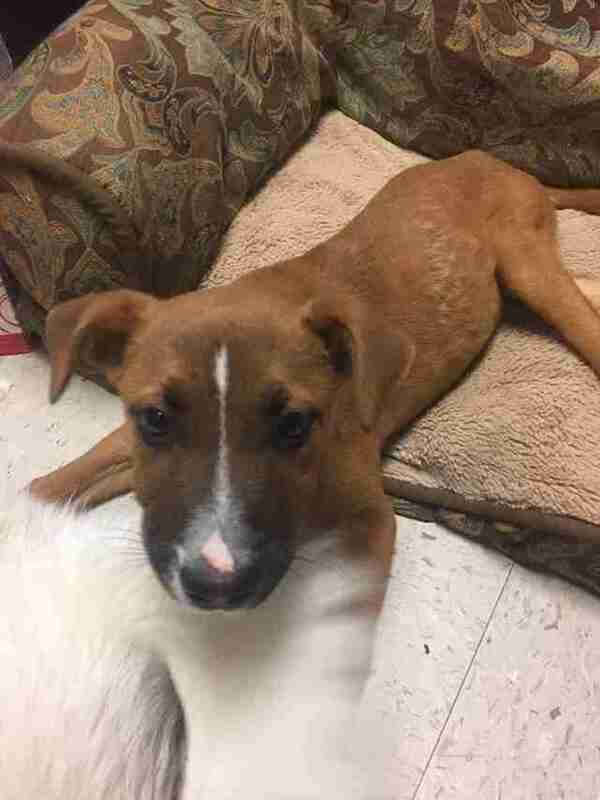 The 1-year-old pup, later named Elsa Rose, was brought to Austin Pets Alive (APA), where staff had to make the difficult decision to amputate the pup's immobile back legs due to the strain they were putting on her front legs. 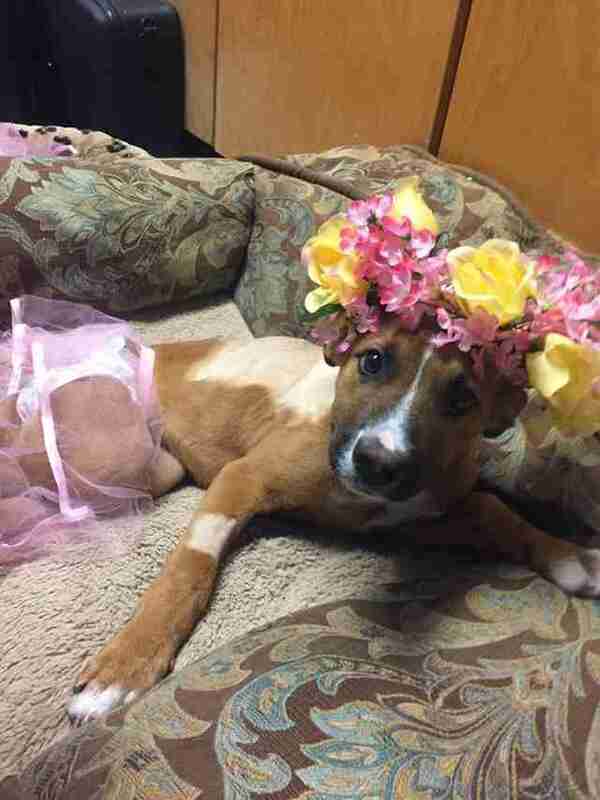 Medical staff determined Elsa had a condition known as swimmer's syndrome, characterized by a lack of strength in the legs and an inability to stand. She then underwent surgery and has since been making great strides in physical therapy. 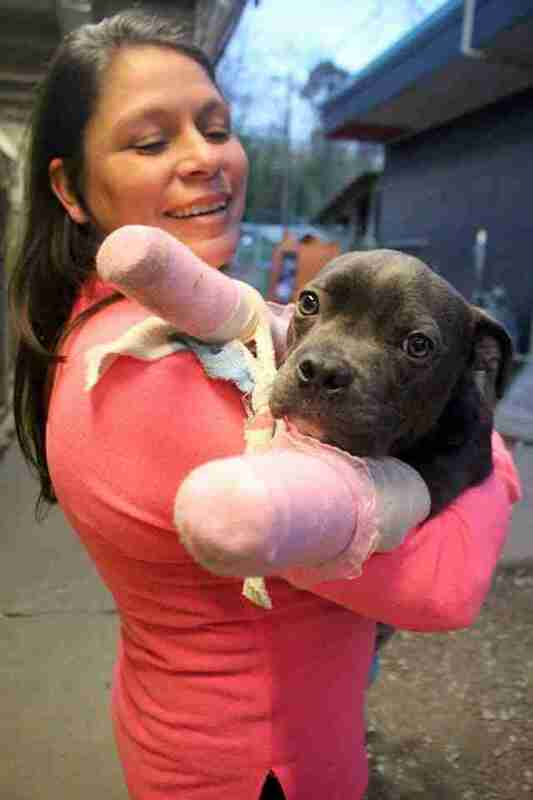 She's now recovering with her foster mom, a woman named Faith Wright. Elsa's disabilities haven't dampened her spirits, though. 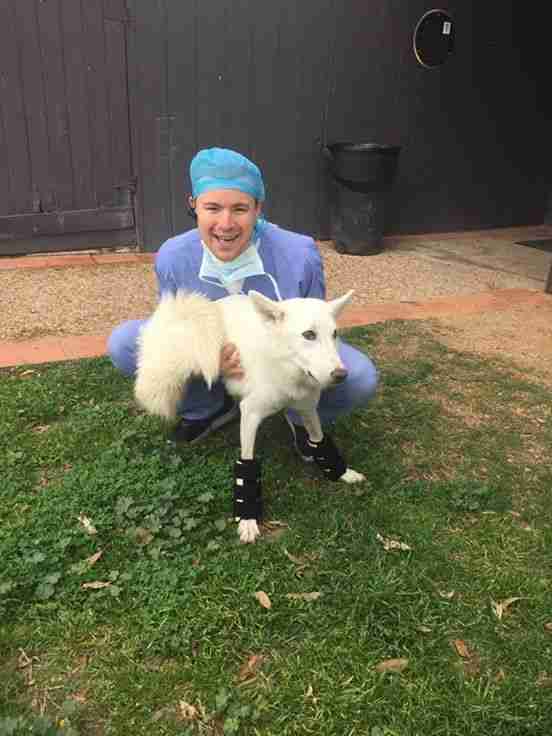 Recently, Elsa Rose was able to lift her back-end for the first time on her own and is now learning to walk on her front legs, Wright said. 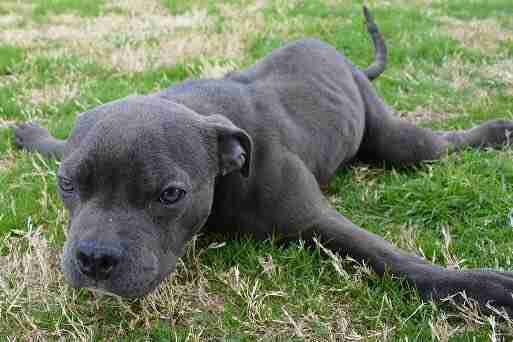 "She is one of the happiest and most resilient dogs I have ever met," said Wright. "She is friendly with kids, cats and dogs. She gets super excited when a new baby kitten or puppy comes home to join her as a foster, and she is often found snuggling up with them." 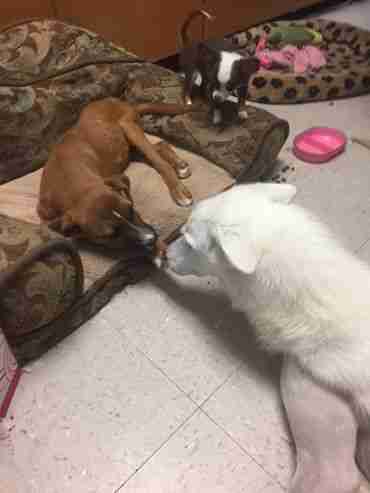 One of those foster animals is Danali, a 5-month-old boxer mix. Danali joined Wright's household in late January 2017. 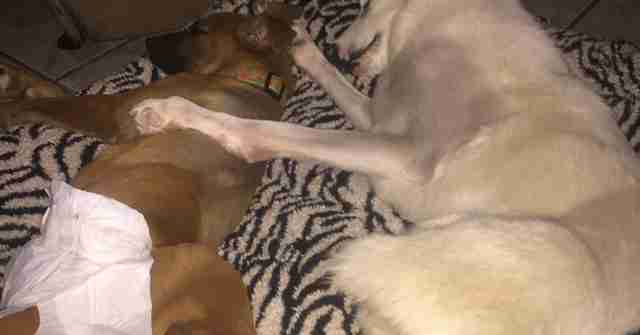 It was love at first sight for the two dogs, and a much needed boost of confidence for Danali - who was found with a bullet from a pellet gun lodged in her spine. "She was very shy and scared when she first came to me," said Wright. "Once I put her with Elsa Rose, she became so happy and followed Elsa Rose everywhere." Sadly, the bullet was unable to be removed from Danali's spine and she will likely be in a wheelchair for the rest of her life, veterinarians told Wright. However, her joy in socializing with other pups has been an important aid during recovery, motivating her to stay active. Stanley Coren, a psychologist, professor and writer focusing on dog behavior, told Psychology Today that dogs tend to learn from and model their own behavior after other dogs. This phenomenon is known as an "allelomimetic behavior," according to Coren, which is essentially a "group coordinated behavior that depends upon an inborn inclination for dogs to want to be with other dogs, to follow their lead and to do the same thing." 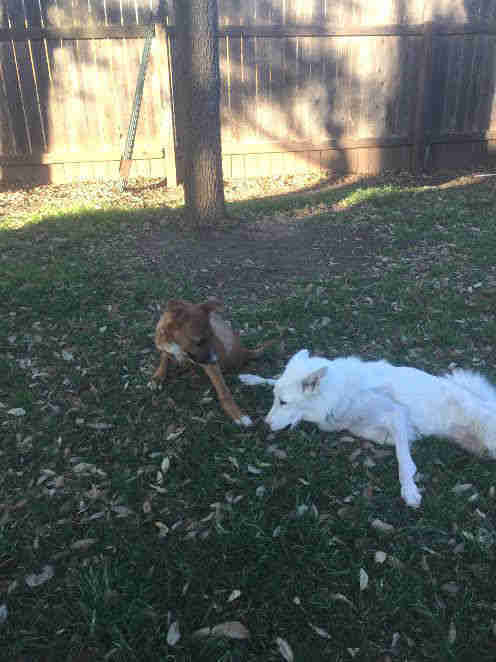 This would suggest that Danali is not only gaining strength when she follows Elsa Rose around, but also that she is learning how to use her body from another disabled dog as well. "[Elsa Rose] learned how to use the doggy door very early on and still continues to army crawl through it so she can go outside when she wants to," said Wright. 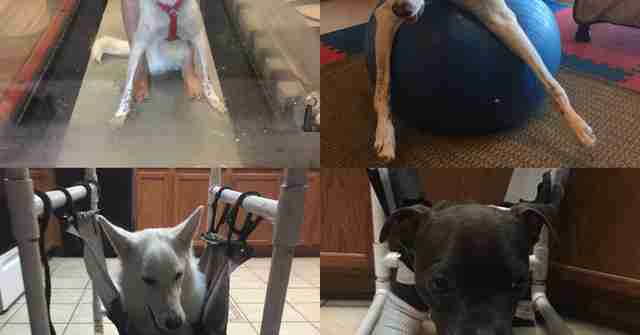 "[Danali], too, has learned how to use the doggy door because she doesn't want to be away from Elsa Rose. She will bark and cry if I carry her in first, and then go back to get Elsa Rose." 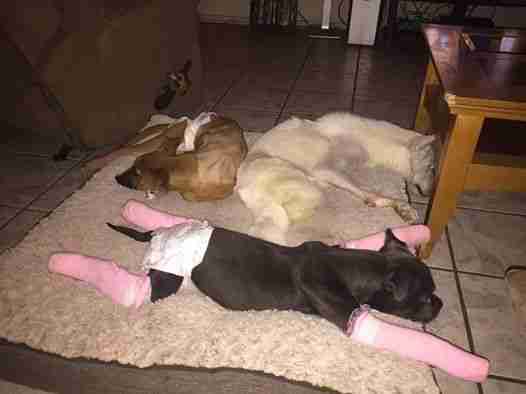 The bonded pair recently got a new foster sister, Starfish, a 6-month-old pit bull mix who also has swimmer's syndrome. Starfish was found abandoned inside a box in a park before being taken to APA. Starfish isn't able to move around as easily as the other pups, but she loves cuddling with her foster sisters and Wright - who refers to her as "a seal pig." "She snorts and grunts like a pig all the time," said Wright. "She is very happy when humans are around her and she loves to get attention." In fact, one of Starfish's favorite activities is to snuggle up with a human for a long nap. 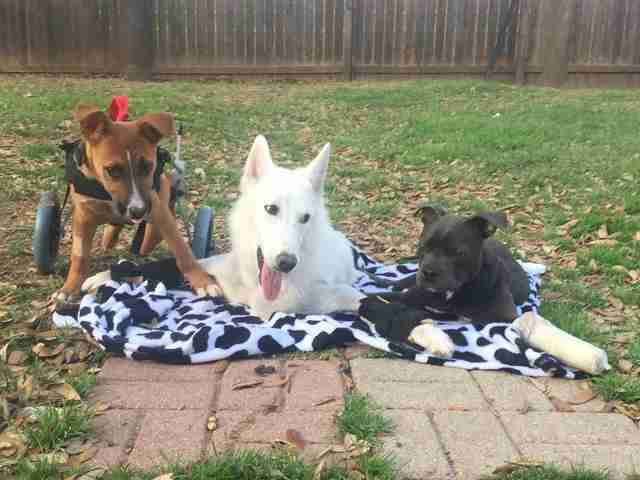 All three pups are currently in physical therapy several times per week at the Austin Veterinary Emergency and Specialty Center, and are learning to use their wheelchairs, too. Wright has even constructed her own physical therapy equipment at home to continue working with Elsa Rose, Danali and Starfish. These special girls are getting the best care possible in order to find their forever homes. In the meantime, they are managing to have fun playing with one another - when they aren't cuddling, that is. Some of their favorite things include Greenies, canned food, and lots of snuggles and attention, said Wright. 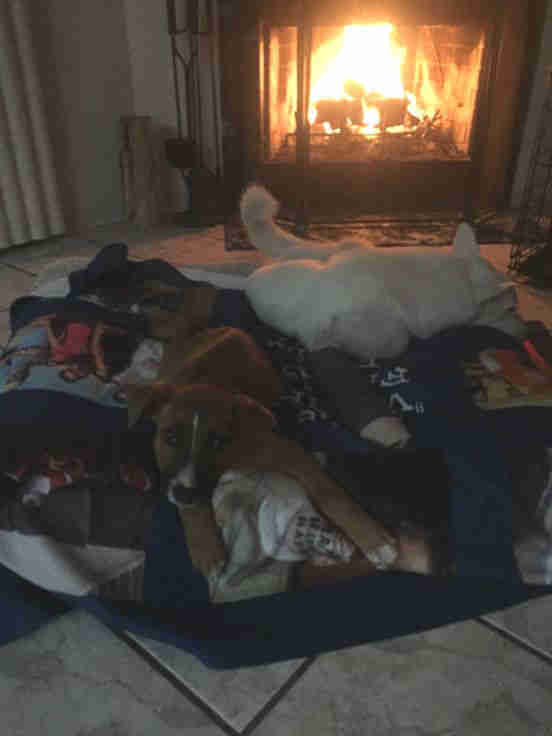 They particularly like to lie in front of her fireplace. Danali is currently up for adoption, while Elsa Rose and Starfish are continuing therapy in preparation for their forever homes. If interested in any of these special ladies, please visit Austin Pets Alive for more information and to apply for adoption. You can follow the progress of Elsa Rose, Danali and Starfish on APA's Facebook page and check out other animals up for adoption as well.